I'm having a problem with exporting the circular SVG gradient. Do you have any idea how to solve it? 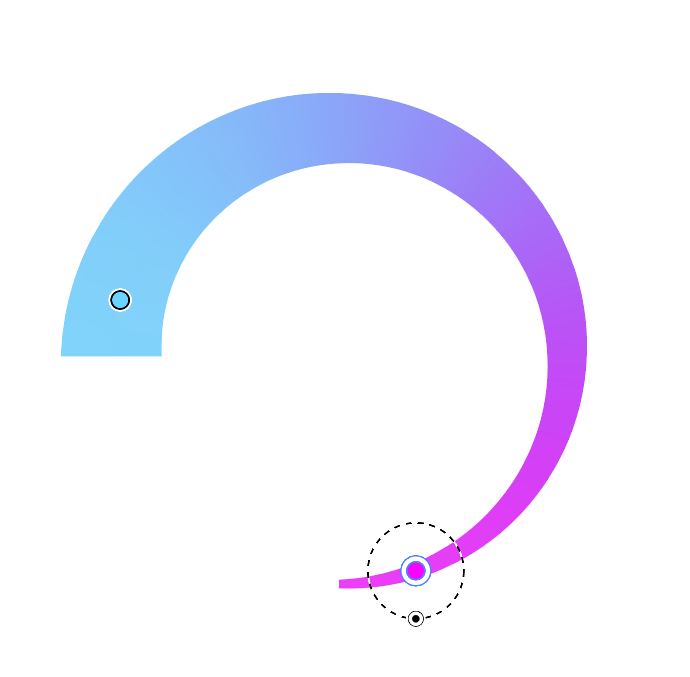 SVG should support linear and radial gradient but i can't believe that it's so much limited. You can see in my picture two points the starting and the ending point of gradint. How to make a symmetric gradient in GIMP?